Not my ordinary vacay getaway. A while back I did a blog post about my goals for the year of 2018 and stepping out of my comfort zone, saying yes to new things I am not familiar with, exploring new places in the world and meeting more people like me who have same interests in creating cool content to share and inspire! 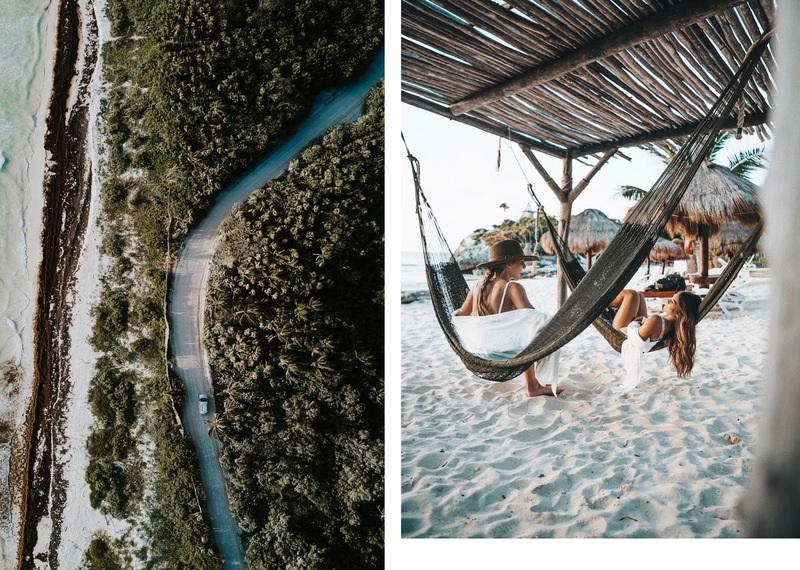 My trip to Tulum checked off almost all of those boxes, while I've been to Tulum a few times before I was excited to go back with a group of creatives I didn't know and see it through different eyes by exploring new spots and adventures. When it comes to traveling we always tend to go with those that we know and are comfortable with but how are you supposed to grow and become better, learn something new if you're living in your comfort zone and you're surrounded by those who are in your comfort zone? Answer is easy, you don't because you never end up trying anything new. 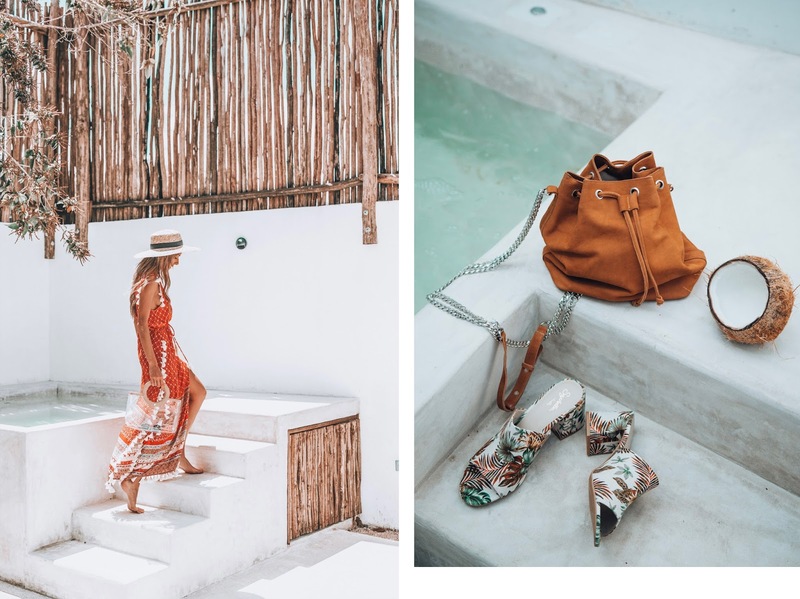 Which leads to an email I got about a month ago from a fellow creative who owns The Stand By Diary, it's pretty much a Company that connects Brands with influencers where they travel to amazing places with fellow creatives to create content for themselves and Brands. While the idea sounded amazing I was skeptical about almost every part of the trip as I wasn't sure how everyone would get along but the idea of everyone being in a creative world meant that we all would be going for a reason, each one of us having the same reason - create! So I said yes to the new adventure and it couldn't turn out any better! 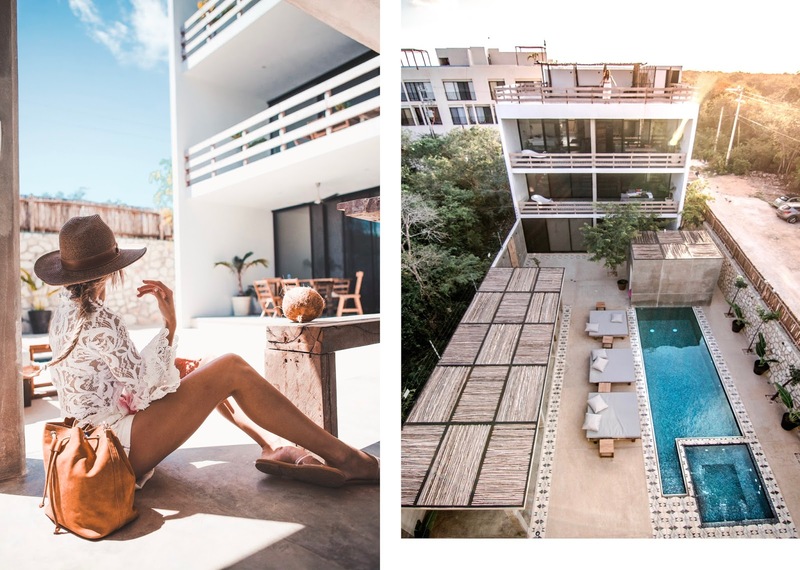 Long story short, we got a super cute house in Tulum and spent 5 days exploring, going to cenotes, driving to a hidden paradise which by the way took like 3 hours to get to via rode that was literally non existent! While the trip was filled with fun things to do we all bonded so well creating content, helping each other get better, strangers shortly turned into friends and moments turned into memories I'll never forget! This was my first trip going on a spontaneous trip like this one and I truly can say I cannot wait for the next one. The reason why I shared this story with you is to hopefully inspire you to step out of your comfort zone and do things you have been afraid of to try! There is so much in the world to see or do and you never know what adventure, experience awaits when you say "NO" to something. Remember, we're only half way into the year and there is plenty of opportunities coming your way that you can say YES to! Kiana -- owner and content creator behind The Stand By Diary, pretty much a major #girlboss who does it all! Her IG stories are always hilarious and she has great advice for those who want to grow their business. Dakota -- A man full of surprises, literally. Not only he is a back up dancer for Britney Spears but he also has a great IG + Youtube that is all about his travels and it's not like any other pages you've ever followed. Every image, every IG story and every video tells it's own story and makes you feel like you're on that adventure with him. Eryn -- If a mermaid was real Eryn would be it haha. This girl was in the water literally 99% of time, if it wasn't in our pool, then she was swimming in cenotes or in the ocean! Such a free spirit content creator, loved her positive energy and creativity in front of lens. Melanie -- she was my roomie during the stay there & my oh my did I learn a lot from her! Not only her creativity is always taken to a whole new level but her IG is all happy, positive and vibrant vibes -- make sure to follow her and get her Lightroom presets too! It'll take your Insta to a whole new level. Justin -- Videographer of the trip, based out of Hawaii. 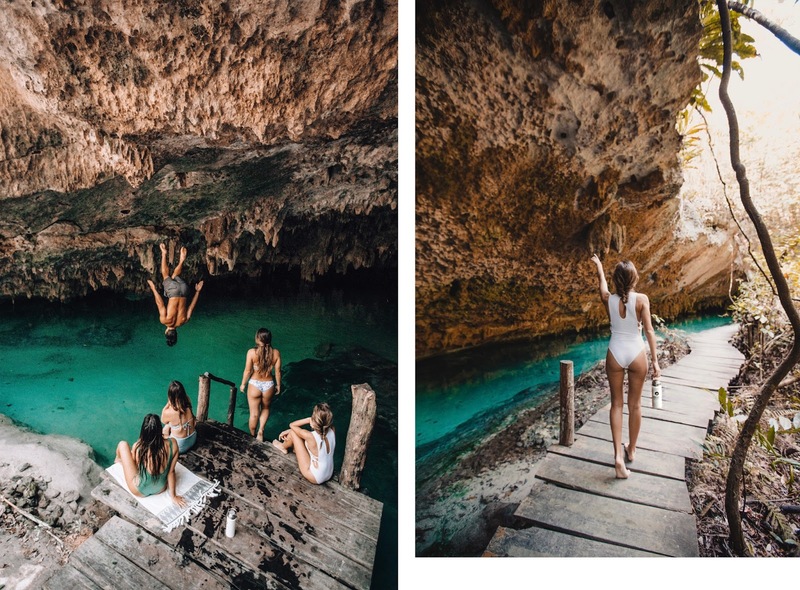 His IG always gives me major vacay vibes, if you love a good tropical feed go check him out! If ya'll want any recommendations or have any questions about places we went to etc. drop down a comment or send me a DM, I'll be more than happy to share more about the trip! Rent a car. You'll not only save money but you will be able to create your own schedule and see more by not going on the tours. If you're going with friends rent an Airbnb, no need to stay at a Hotel. 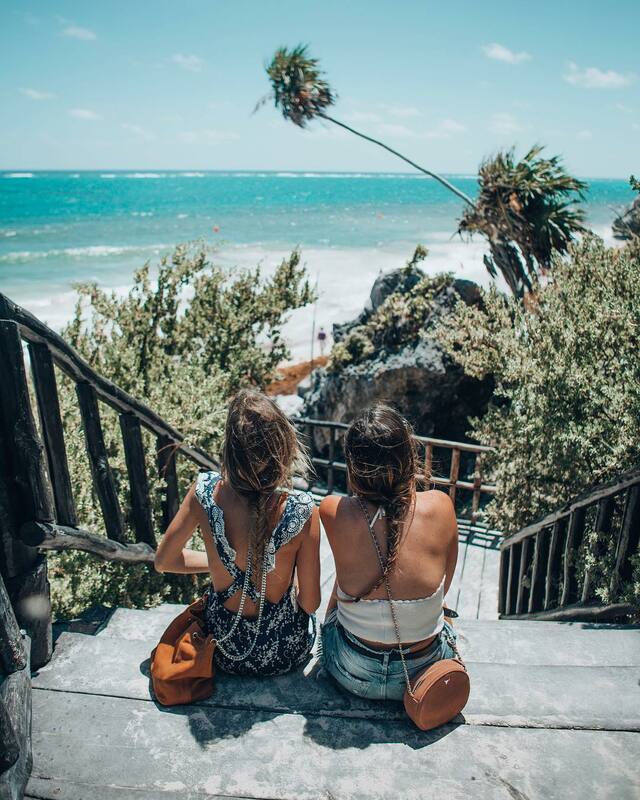 You can go and explore the main part of Tulum to go shopping, see the boutique hotels and eat. Check the weather before you even book your tickets as a lot of people after I got back told me that they have gone a week before us and it rained on and off the entire week. Some of the restaurants are completely booked out on Fridays and weekends, make sure to make your reservation ahead of time! Mosquito spray will be your best friend! They're everywhere and you'll be bitten. When drinking water at restaurants make sure to tell the waiter not to add ice cubes as the water isn't filtered and you'll get sick as your body isn't used to it. Grocery run before checking into Airbnb/Hotel is a must! Stock up on lots of water and snacks as the main Tulum area does not have much of snack spots and it's mainly restaurants. If you're looking for cheap tickets, jetcost has the best deals! They're also super last minute so I do check them on almost daily bases to see deals! Events in Dubai I cannot thank you enough for the blog.Much thanks again. Really Great. camping trailers for sale Thanks for the blog.Much thanks again. Want more. I really en joy reading and also appreciate your work. The second most ideal path is to welcome companions, neighbors over for a movement party or a voyage party. Ask the voyage line or the hotel, for a video tape and free limited time material to impart to the visitor. Give visitor snacks and (shabby) wine. Corporate travel operators have the distance calculator experience and polished skill to soothe worry for both the explorer and the organization. Why even drink the water if the ice cubes alone will make u sick Isn't that the same thing or are they serving bottled water? ! Impressive web site, Distinguished feedback that I can tackle Distance from San Antonio to Dallas. I'm moving forward and may apply to my current job as a pet sitter, which is very enjoyable, but I need to additional expand. Regards.